1942: Joint Strike revived Capcom’s line of World War II shooters in 2008 on the Xbox Live Arcade and PlayStation Network. Developed simultaneously with Wolf of the Battlefield: Commando 3, Backbone Entertainment once again developed the game with modest results while Norihiko Hibino’s GEM Impact created the score. The eight track score wasn’t a candidate for an official album release, but fortunately GEM Impact eventually released it to the world using the medium of iTunes. Whereas Commando 3 featured Hibino’s characteristic symphonic jazz sound, 1942: Joint Strike is an attempt at a militaristic orchestral score comparable to the music of the Ace Combat series. How do GEM Impact fare in this relatively new medium? Despite being a conventional militaristic orchestral score, there are quite a few unique selling points on the 1942: Joint Strike soundtrack. Several themes arrange the fantastic melodies featured on the first few stages of 1943: The Battle of Midway. At first glance, the menu theme “Joint Strike” might seem like any other militaristic soundtrack with its brass focus and driving snares. However, the way the melody is presented is especially exquisite, managing to have lyrical flow while maintaining a certain resolve. While the harmonies are straightforward, they perfectly complement the composition too and reflect the composer’s classical training. Perhaps the first stage theme “Retro Blitz” even exceeds this one. It is altogether more rich and varied, boasting more punchy brass use, beautiful flute interludes, and a more rock-influenced bass line. It keeps the spirit and melodies of the old-school 19XX games alive while presenting it in a vibrant modern environment. As is customary for a shooter, the second stage theme “Padlocked to Destiny” begins to represent the tension and danger of the game. Sections with bellowing brass and racing string crisis motifs appear against much more stern bass and percussion. There are still glimmers of hope that make the composition so much more colourful, but it’s pretty clear that one’s destiny is likely to be a dire one. “Shinden Striker” is probably the composition most similar to Norihiko Hibino’s Metal Gear Solid works. It establishes the feel of cautiously infiltrating enemy territory with its focus on uneasy exotic rhythms and abrupt brass phrases. The choice of clarinet to present the countermelody was also an effective one after so many tracks written for brass, strings, and flute. “Sharpshooter” is even more dark and threatening than the previous stage themes. The suspended flute trills, rasping brass utters, and moody backing all evoke an image of wartorn skies surrounded by enemy fire. Hibino’s team reunite their ideas for the last stage theme, “Operation Lightning Rod”. The first section is focused on conveying the challenges that lie ahead with tense and alien percussive features. The track soon explodes into a brassy anthem, however, that contrasts the feelings of protagonist and enemy. Pretty good. As for the boss theme “Fangs Out”. the decision to put the focus on tremolo strings and unpredictable glissandi might seem like a clichéd one, but it is ideal for representing aggressive flying foes. What really makes this theme enjoyable out of context, however, is the amount of rhythmical energy created. It’s also wonderful how the brass solo shortly before the loop powerfully melodic material from the main theme. “Retro Blitz” is also recounted more directly in the short victory theme “Combat Ace”. 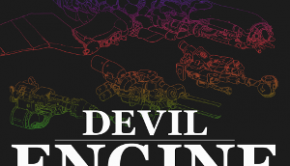 This time its orchestration is reassuring and nostalgic — both for the musical experience that just passed and the old 19XX games that it was inspired by. 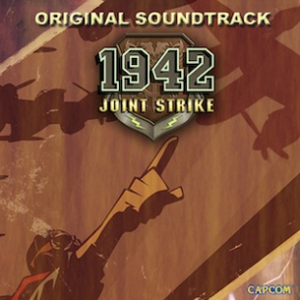 Overall, the soundtrack to 1942: Joint Strike is a very effective one. Hibino’s team seem to hybridise elements of old-school shooter scores and militaristic film soundtracks with their own touches. The Metal Gear Solid influence is much more slight in this score than Wolf of the Battlefield: Commando 3, but the commanding rhythms and elegant phrasing integral to Hibino’s musicality are very much present. In context, the score is very effective at portraying the different stages and bosses while adding energy and emotion to the experience. Compared to its partner score, it features considerably less stylistic variety and many will find only the especially melodic themes worth revisiting. However, it is probably a more refined and subtle score overall, so the music will be worthwhile for more inquisitive listeners. 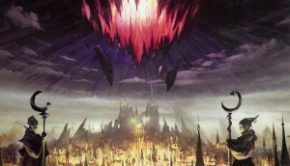 Those looking to supplement their orchestral game music collection should seriously consider buying these eight tracks.